Which battery gives you the best bang for your buck? One of the items on my to-bring-back list is batteries. No matter what brand I pick, the batteries I buy in Israel seem to last about 35 seconds. The rechargeable batteries have an even shorter lifespan. The problem is, batteries are so heavy that it is very difficult to bring them back. 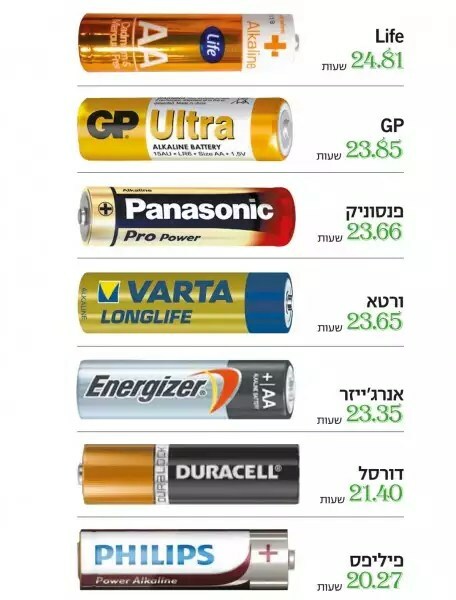 So I was thrilled to read this article in Yisrael HaYom which explains WHY the Israeli batteries don’t last- it is because many of them are zinc-carbon batteries, also known as “heavy duty” batteries which don’t last nearly as long as alkaline batteries. 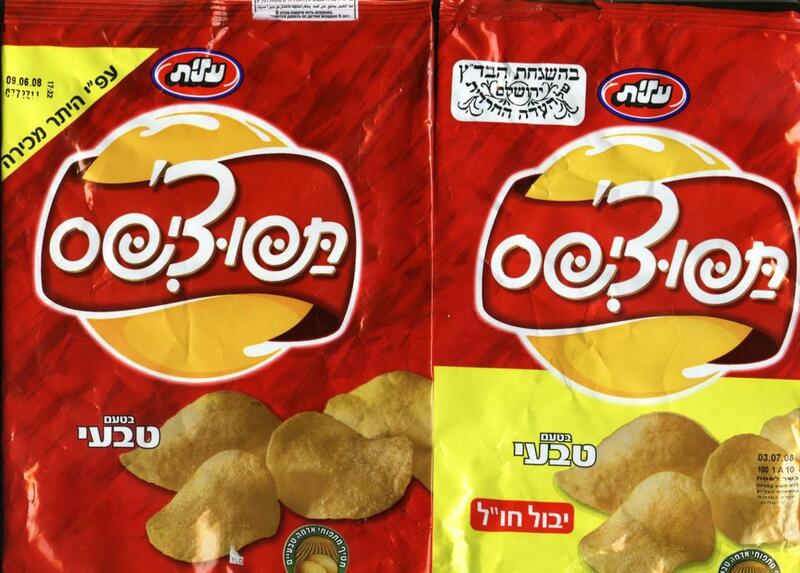 They are cheap, though, and unfortunately Israelis (and new olim) are attracted to the price. Therefore, aliyah tip #8- make sure you buy alkaline batteries (if you buy disposable). Alkaline batteries last approximately 4-5 times as long as zinc-carbon batteries. There is another type of battery you might find on the shelves- lithium-ion batteries, which last 5 times longer than alkaline batteries, but also cost much more. What about rechargeable batteries? They should last for approximately 300 charges, but most of them don’t get used that much because they get lost, or the charger gets lost, or people lose patience waiting for them to recharge. Many people see the high price up front and balk. If rechargeable batteries are actually used for 300 charges, they are cheaper than alkaline batteries. What makes one battery different than another? Panasonic, for example, has a special standard that doesn’t allow the battery to leak so that increases their price. Each manufacturer can pack a battery differently and that affects how long they last. Don’t keep batteries in the freezer. Despite popular knowledge, this does not increase battery life but actually decreases it. You can keep them in a refrigerator drawer but make sure to keep them in a plastic bag so they don’t leak and rust in the refrigerator. Give the batteries time to rest. If you don’t plan on using the batteries until the end of their life, let them rest for 24 hours and it will lengthen their life. Take out the batteries. If you leave batteries in a piece of equipment without using it, the batteries will start to leak and irreparably damage the equipment. Finally, the results. This first chart shows the battery life of different brands. Are you surprised? As I am sure you know, it is not only how long it lasts but how much it costs. 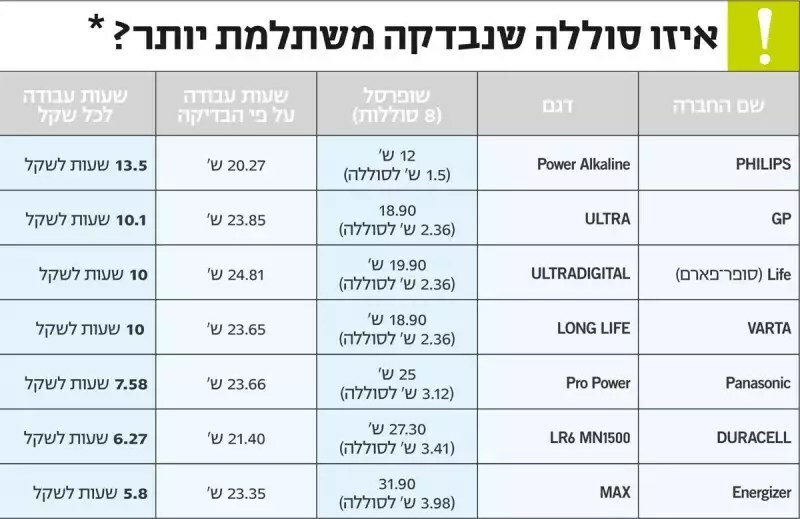 This next chart compares battery life to price and comes up with an “hours per shekel” rate. I must say I was quite surprised by the results- were you? The lesson learned today is don’t be afraid of the generic Super-pharm brand Life batteries. Today is Meatless Monday, promoted around the world and in Israel by the Environmental Protection Ministry (Haganat Hasviva) as a way to be healthier and put less of a strain on the environment. But how does being vegan affect your budget? Coming from chul, we remember produce as being relatively expensive and kosher meat as being even more expensive, while non-kosher meat was very cheap. You might remember Aliyah tip #6- eat more meat, its cheaper! about changing your attitude when in Israel- that cheese and processed foods are much more expensive than meat. The prices of eggs and milk are regulated in Israel, so our main protein sources are relatively affordable. Before we get too excited, I have to say that the article online left out several products that were cheaper than their meat alternatives: salami- 37% cheaper, ground beef- 40-66% cheaper, and goulash- 49% cheaper. There are also several more vegan products that are more expensive than their alternatives. In addition, these prices were taken from the Shufersal Sheli on 17 Brazil Street in Tel Aviv- not a store or a neighborhood known for reasonable prices. Of course, time is money as well. There are relatively few vegan processed products on the market which necessitates cooking from scratch for every meal, which takes up an extremely large amount of time. It also takes time to go from shop to shop finding vegan products which tend to be more esoteric. Another point brought up is that vegans frequently have to use dietary supplements to replenish essential nutrients such as iron, vitamin B and calcium, which are very expensive as well. I am not sure this is an appropriate argument- if a vegan diet is properly balanced they shouldn’t be deficient in those nutrients. So while I appreciate the argument by Haganat Hasviva that we should reduce our damage to the environment, that alone will not convince me to become vegan based on the price differences I see here. Of course, most people become vegan because they feel that we do not have the right to kill animals for food, so the price issue may be irrelevant. If you are thinking of moving to Israel or are a new oleh, be aware when budgeting for groceries that you may have significantly higher expenses than the average person. Source: Yisrael HaYom. All food prices taken from the mySupermarket web site. I recommend that everyone go and check it out- they are bound to have some amazing deals. Let us know if Costco products can be found there as well! 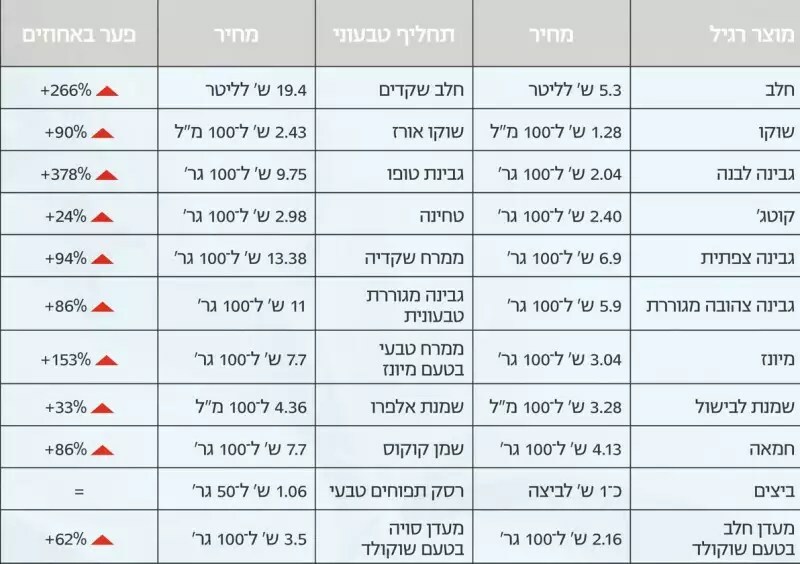 Seven shekels per litre of gas at Ten on Mondays! Tomorrow, get to your closest Ten gas station and fill up on gas for only 7 shekels per litre! 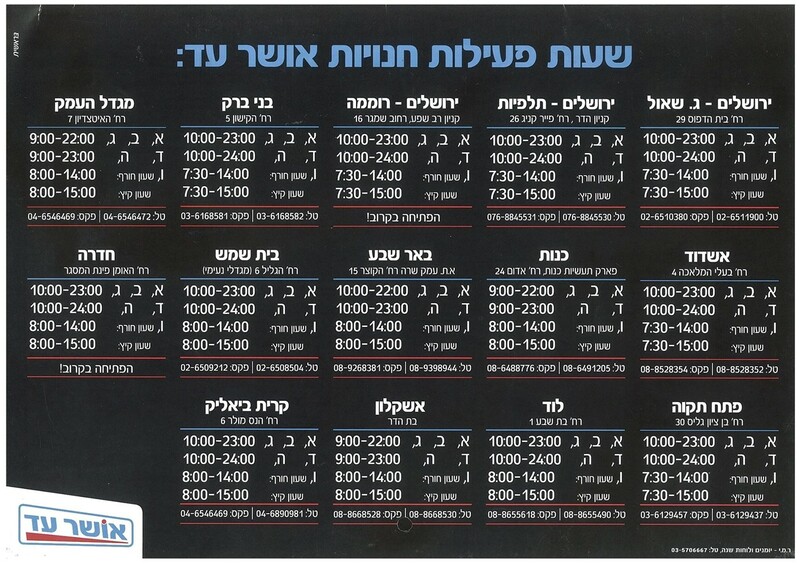 (In Eilat it is 5.99 shekels per litre) If you miss it this week, you can try again the next two Mondays, 22 Sept and 29 Sept. To find the gas station closest to you, click here. Click on the picture to enlarge and print. Two surveys just came out showcasing Rami Levy. Channel 10 went searching throughout the country for the cheapest supermarket for your holiday purchases. They found the Rami Levy store in Nesher to have the best prices. Israelis, however, weren’t convinced; see for yourself here. Not only that but Rami Levy is putting on a show for chayalim on 18 September 2014 with all of the most popular singers for only 19.90 shekels per ticket- food and drink included!